In my many searches for a foolproof house sparrow trap at a reasonable price, I learned a few things. Funnel traps, while usually the most economical, allow escapes. Since live decoys are needed to catch the numbers of birds required to create a HOSP-free zone, escapes must be eliminated. A funnel exit may be difficult for the bird to find, but once found, there’s nothing impeding escape, and they’re free, never to be trapped again. Unless you can count your problem sparrows on a hand or two, continual resetting of a spring-door trap will be a full-time job. Or, at two birds a day, you can spend a lifetime making your yard, bluebird trail, or purple martin colony, or even a storage building sparrow-free. The elevator style, though the best overall design were NOT all created equally. Some are too small, some allow escapes, and all were too expensive. I’ll admit I haven’t kept good track of my catch count since then, but I’d estimate I’ve removed between 300 and 400 sparrows since that first season, still without a native injury or death. In fact, about the only time I need to use the trap now is when a new generation spreads its wings and expands into my sparrow-free zone. I’ve since sold this trap locally as well as on the web, and have hundreds of traps in use in all 50 US states, as well as countries including Canada, Australia, Spain, Germany, France, Poland, the Netherlands and VietNam. Bird feeding enthusiasts, Purple Martin and Bluebird landlords, state and federal wildlife refuges, game farms,the USDA, and turkey and chicken farms are eliminating the problematic house sparrows with the trap. Beverage distributors, rental storage facilities, commercial greenhouses, pet food manufacturers, pest control companies and farmers with stored equipment are successfully using the trap to eliminate house sparrows and the accompanying mess in their manufacturing and warehouse facilities. Most recently several well-known zoos and marine parks, as well as aircraft and auto manufacturers have ordered traps. 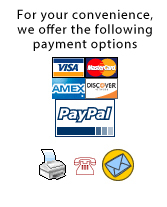 Many customers have ordered additional traps after the first one proved its incredible effectiveness. 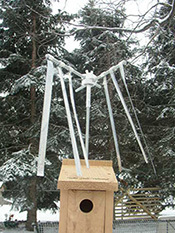 A Bluebird enthusiast in Ohio purchased a trap and her review can be seen here, about halfway down on the page: https://www.sialis.org/traps.htm. Please keep in mind! In using any bird trap, it is imperative that the trap be monitored at least once daily so that any native species can be immediately released, and that House Sparrows to be kept as decoys are provided a source of food and water. There are several species of sparrows native to North America as well. While the male House Sparrow is quite distinctive and easy to identify, the female may be harder to identify. Please get a field guide to assist in your identification. And if there’s any doubt, let it out! It is much better to mistakenly allow a House Sparrow to live another day than to mistakenly destroy a native bird! The Deluxe Repeating Sparrow trap has unique design elements that make it different from other traps on the market. Click on the first image to see a larger view, and scroll through the slide show to see the trap from different angles.